I remember playing the original Need for Speed on the 3DO and thought “wow”, this was the future of racing. It had everything… gorgeous locales, luxury sports cars and high speed police chases. This was definitely not your traditional racing game. So here we are again, 16 years since the original Need for Speed Game and two years after the latest title. The Need for Speed franchise has had its ups and downs over the years but this time developers Criterion have come to the rescue after there excellent Burnout series. 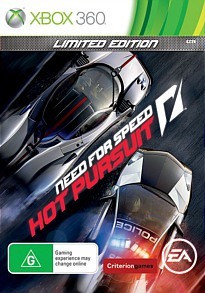 So what is Need for Speed Hot Pursuit? Imagine Burnout meets the traditional Need for Speed series and you'll have idea. It works well! 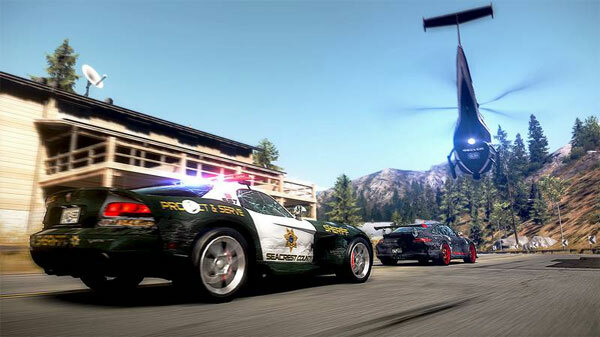 The best aspect of Hot Pursuit is that the developers have gone back to basics as the player attempts to outrace and outwit the police. Who cares if the premise is politically incorrect but at its racing heart pumped full of fuel, Need for Speed: Hot Pursuit is a classic arcade racer from start to finish. With a variety of real-world cars to select from, you’ll be racing at some insane speeds on these luxurious locations such as forests and beaches but just be warned, one incorrect manoeuvrer may see you in a whole world of hurt. It's all about speed and accuracy here. The track design of Hot Pursuit is perfect and although it looks a little too clean, the road design is great as are the various backgrounds and obstacles in the way. It’s the subtle things of Hot Pursuit that put a big fat smile on your face such as cars flashing their lights at you if you get too close or drifting around a bend as you attempt to outrace the police. 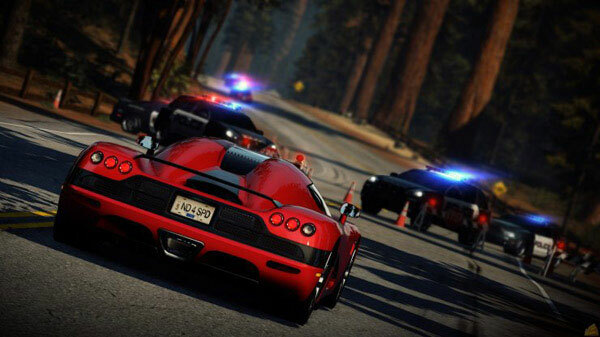 Hot Pursuit features some interesting gameplay modes such as traditional races, pursuits and for the purists, test drives. Races and pursuits are definitely the winners here, however test drives are entertaining to "test" those luxury cars and also fine tune your racing abilities. Apart from your high speed opponents, the police are definitely the thorn in your tyres. Imagine watching those high speed chases on TV but as opposed to the careful PIT (precision immobilisation technique) manoeuvre, the police are definitely more aggressive as they attempt to nudge you to a stop. 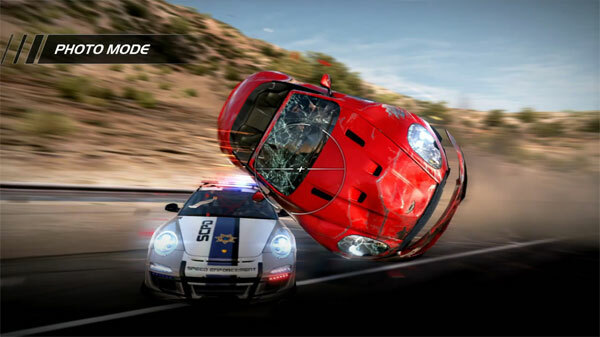 This really turns Hot Pursuit into an action packed racer that is definitely the highlight of the game. For gaming incentives, there are new tracks, classes and cars to be unlocked and then you have multiplayer. 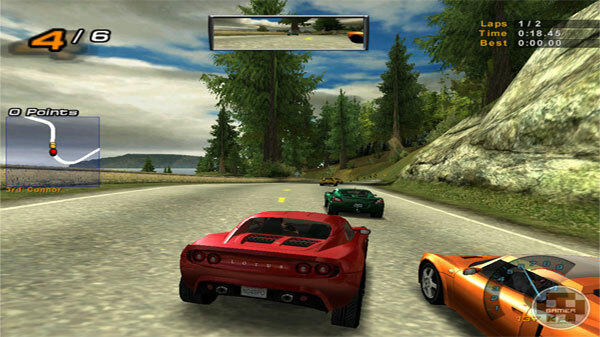 The modes can also be tweaked such as cop versus street racer or to something more challenging, 4 cops versus 4 racers. With the police, they will dry their dandiest to stop you in almost any means possible, besides their thuggish takedowns. For example, roadblocks, spike strips, helicopters and even EMP bursts await you on the tracks once you break the law. Add in some multiplayer modes and you have everything you need to play this game for a considerable amount of time. Although there is no local split screen support, the autolog feature allows you to display your top scores to friends that gives you something to beat. Imagine FaceBook for Need for Speed. The game also contains a wealth of real-world environment influences such as realistic lighting, day and night drives and a variety of weather effects such as storms and whatnot. Nothing is more realistic than racing up a mountain and then racing down the other side as the rain begins to fall. You won’t see any of this in the latest Gran Turismo game my friends. All these environment influences can sometimes play havoc on your racing, especially as you attempt to slide around the corner in a storm or misjudge a section of the road due to heavy fog. Then again, if you use nitrous in the wrong spot, it could be quite hazardous. Graphically, the game is pure eye candy and on some occasions, I just pulled over to see what was going on. The graphics are quite realistic and the attention to detail is great from the leaves on the trees to the beautiful locations from seaside towns to mountain areas. The stars of the game are the various vehicles which look lush and help create a sense of speed.... Add in a loud pumping soundtrack and all the noises of cars and crashes and this game was made to deliver. If you loved the Burnout series, than Need for Speed Hot Pursuit is a must have title and best of all, it pays homage to the original Need for Speed game. Even though the chase scenes are clichéd, fast and furious, Need for Speed Hot Pursuit takes arcade racing to another new level. Great graphics and gameplay to die for... I've not had this much fun on the XBox 360 in a long time.